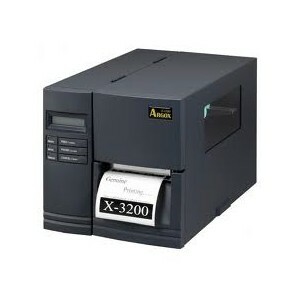 The X-3000+ printer is ideal for applications that require small labels or textile media. 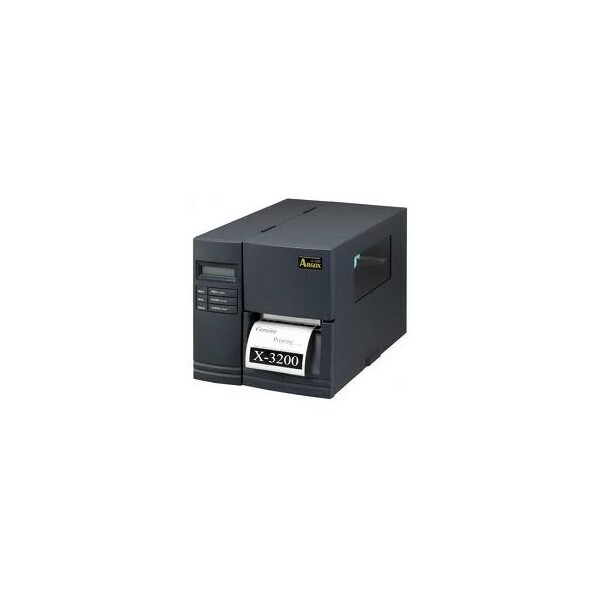 Its standard 300dpi print head ensures superior printing quality for first-class characters, graphics and barcodes. The X-3000+'s combination of features and power provides greater productivity and cost advantage to the user. The X-3000+ is also bundled with free Win98/2000/NT/XP drivers and WYSIWYG softwares (ArgoBar) for ready-to-use operation. ● Up to 20,000 labels output per day for heavy duty labeling demands. ● 300dpi high resolution model available. ● 32-bit CPU, LCD display, up to 6ips printing speed, and enlarged memories. ● Adjustable reflective and transmission double sensor system ensures precise label detection to meet versatile media demands. ● Centronics parallel and RS-232 interfaces available for versatility applications, and PS/2 interface for standalone operation: directly connecting a PC keyboard to input label data without a PC. ● Industrial-strength media management:300M-360M ribbon wax & 8” media compartment. ● Easy media loading & ribbon installation. ● An external switch sets the printer for use with either inside or outside coated ribbons. ● PPLA, PPLB emulations available. ● Durable and easy maintenance:easy-to-replace cutter and peeler. ● Full range of options :Cutter, Peeler, Stacker,Font card, RTC and standalone keyboard (Argokee). ● Printer Server external for Ethernet/Wireless/Bluetooth options.